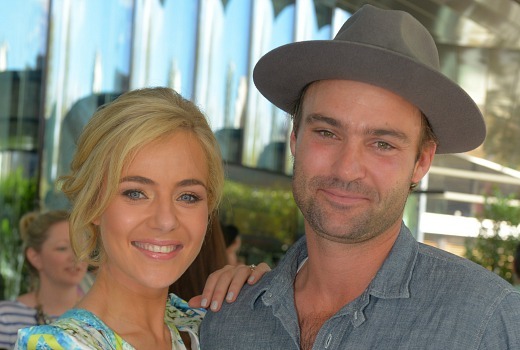 Offspring heartthrob Matt le Nevez has joined Nine’s Love Child. He also teased two upcoming dramas, Gallipoli and Gina. “Watch this space. More announcements coming up on that. A very exciting project,” he said of the latter. “Gallipoli is without question the largest most complex production in Australian television history. “It’s taking a lot more effort for planning, logistics, talent, skill, passion than the real event,” he said. I must say offspring is far superior than what love child will ever be… offspring has a beautiful cast led by the best in Asher Keddie, superior writers and directors; love child feels sort of cheap and nowhere near the standards set by offspring as the best Australian Drama. In my opinion, even if John and Imogen killed him off, they did it because he was upfront with them about his desires to work in the US… Channel Nine is not the US. Let’s hope offspring continues to evolve and is renewed for sixth and seventh seasons! It was never Matt’s decision to leave; he was happy to stay on for however long the show ran for. John aedwards and Imogen Banks made the decision to kill Patrick off because they thought they only had a limited time with Matt and that keeping him tied down to Offspring was holding him back in the US. I really doubt that they’re regretting their decision. While Matt’s departure was initially upsetting, it resulted in two of the show’s most breathtaking episodes and stellar performances from the entire cast. If anything, it only served to boost Offspring’s place as a quality Australian drama. It kept the show in the media for days after the event and really became a water cooler moment. I’d say that this was definitely the right choice and also opens up more creative avenues to explore with Nina in season 5. I loved him in Offspring and was sad to see him go but I don’t have a problem with him pursuing a life in the US while also doing jobs back here to keep the money flowing in – he has bills to pay just like the rest of us! Yeah we have no idea what sort of role he has, for how long etc. They might be shooting him out in 4 weeks and he might appear in every ep. The idea that someone would get annoyed with someone because they left a tv show for whatever reason is the height of ridiculousness. I don’t think it was actually his choice to leave Offspring. But yes I agree this decision might upset Offspring fans. John Edwards and Imogen Banks made the decision due to the possibility he could be offered a role in the US, but at the time he hadn’t had any major offers. So you could say it was kind of , sort of mutual but he didn’t want to leave at the same time. He will still appear in Season 5 for a little bit as flashbacks or imagination for Nina. They thought instead of breaking them up, killing him off would make more ‘sense’. Matt Le Nevez is actually based in the US now, not just moonlighting there for a few months. Pretty sure his partner is American. As we are not privy to the scheduling arrangements and demands, I think we should be cautious about jumping to conclusions. Matthew Le Nevez is doing a Mel B. He said he was quitting Offspring on Channel 10 to look for work in US and then pops up on channel 9…wtf! He is so doing a Mel B. Sorry X Factor (Channel 7) I can’t do the show anymore and then bamn! Announced as a judge on Got Talent on Channel 9. I bet the producers and writers of Offspring feel cheated now!! Didn’t he leave Offspring to concentrate on getting work in the US?